Raising, breeding, and racing frogs could anyone ask for more? 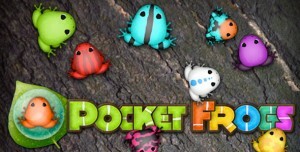 Pocket Frogs is a free app that allows you to fulfill a dream. That is if you life dream involved spending countless hours making frogs jump from lily pad to lily pad looking for a froggy hook up.